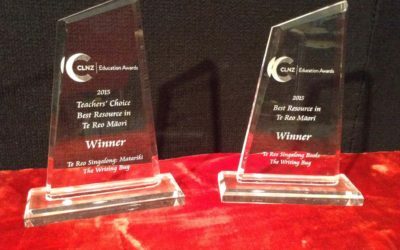 After winning at the Māori Language Awards in 2013, it was a big thrill to win two awards at the CLNZ Educational Publishing Awards in 2015. 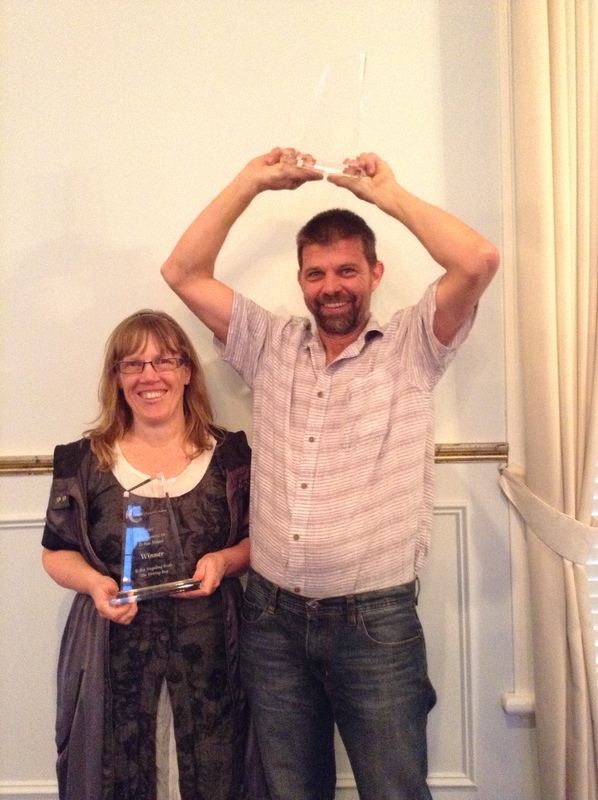 The CLNZ Educational Publishing Awards celebrate excellence in New Zealand educational resource development. The judges chose our Te Reo Singalong books as the Best Te Reo Māori resources that were published that year. The series impressed the judges as well as the Te Reo Tuatahi teaching network who were consulting judges in the category. We entered the four books we had published in 2014. Afterwards, the judges told us that they couldn’t decide which of the four books to choose, so they decided to announce the series as the category winner! We were surprised and thrilled, as we were up against several big publishers with a lot more experience and financial backing than us – including Huia Publisher and NZCER Press. We publish the books under our company name, The Writing Bug Ltd. This honour at the Educational Publishing Awards was a big confirmation that following your dreams and creating resources that teachers can really use has certainly been worth it.